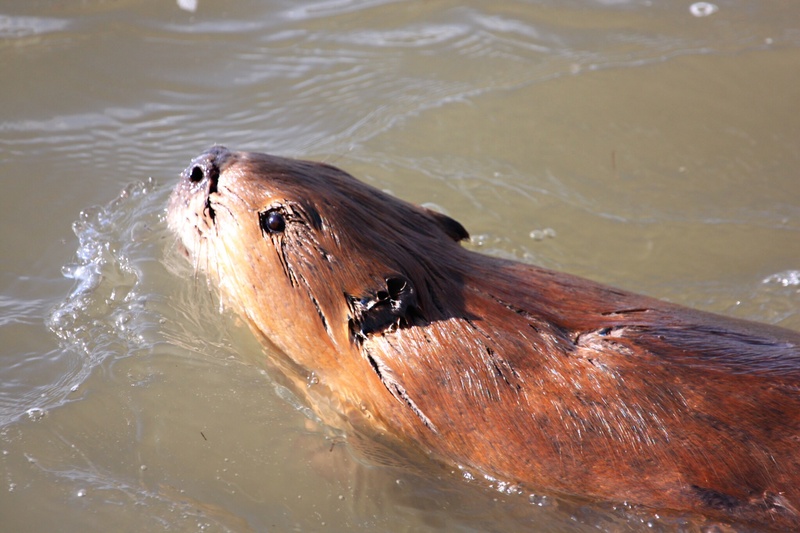 It was always going to be tough to follow the thrills of our fourth day in Yellowstone, but day five almost immediately brought an opportunity to photograph a beaver. I had never seen one before, so was delighted to see one so close. 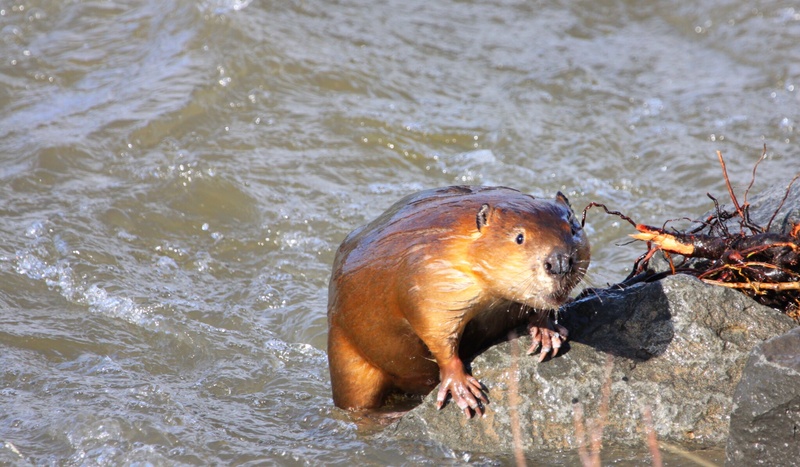 Apparently beaver colonies are thriving thanks to the reintroduction of the wolf to Yellowstone. This stops the elk from eating all the young trees such as willow and aspen which the beavers also enjoy as they cannot stay in one place for too long. Many of Yellowstone’s wolves have been shot recently (sadly they do not know the park’s boundaries) so let’s hope that the impact on other species is not too great before their numbers recover. In a brief and intense rainstorm, we saw a bear known as Quad Mom we had been looking for all week. She is a grizzly with three cubs (despite the name) who was foraging quite a way from the road. We watched with binoculars as she dug in the ground, occasionally catching sight of her cubs as they reared up on their hind legs to see above the sage. Unfortunately she did not move close enough photograph, so we moved on. Once again we tried to find wolves, and found a host of people watching a small pack through scopes. 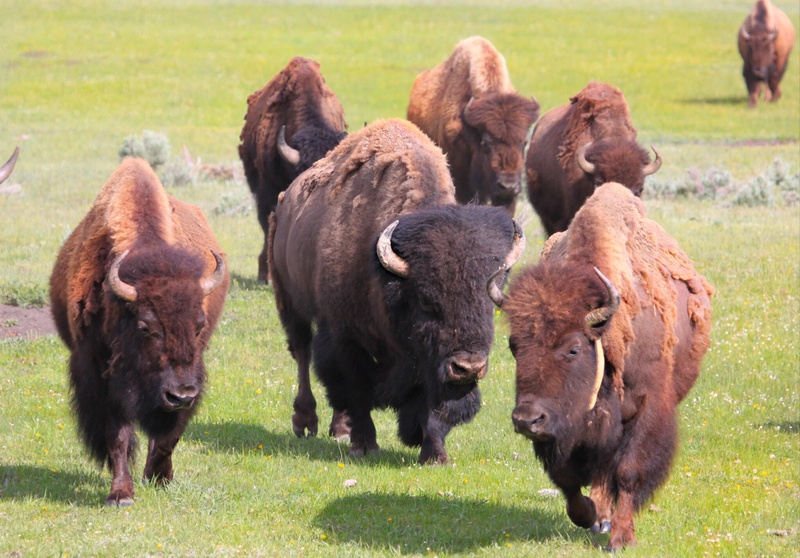 They were lying down and too far away to see, so we moved on despite being tempted to stick with a lame bison to see if they came for him. However, following him was making him try to run on his injured leg so we left him to what would probably be an unpleasant end if wolves or a bear spotted him. 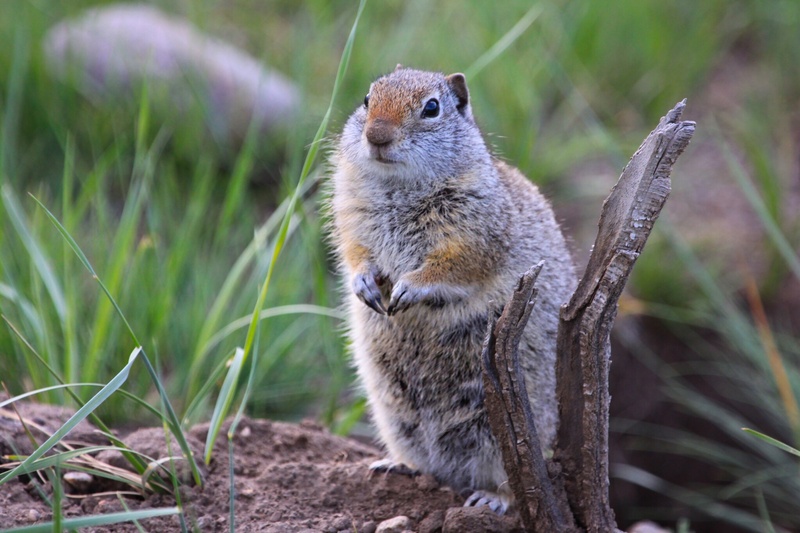 But who needs wolves when you have ground squirrels? We watched a huge herd of bison drift past us. They are deceptive, appearing to amble along but actually moving quite quickly. Like many of the animals at this time of year, they are moulting, in case you were concerned that mange was sweeping through Yellowstone. 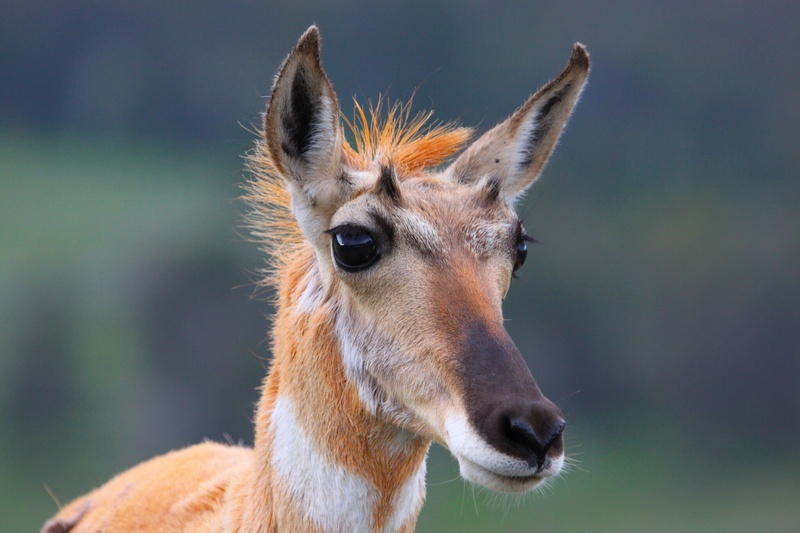 We saw some pronghorns that did not run from us, and I liked this one with the somewhat punk look. I had been intrigued to see them since reading the Joe Pickett books by CJ Box featuring a Wyoming game ranger. Now I can say I have seen the fastest land animal in the Western Hemisphere in the flesh. We saw lots, but they had a tendency to offer only rear shots. At this point we had to cut our drive short owing to the lingering effects of the pepper spray. With the car cleaned again, we set out in the evening but not many animals were around. We went to photograph the Mammoth Hot Springs. 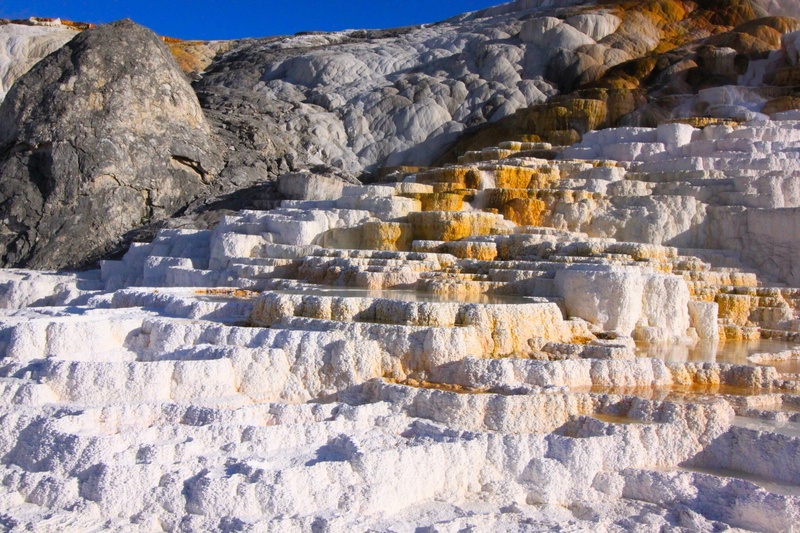 These formations develop as hot water flows out of the springs and deposits calcium carbonate as it cools. This has led to a mound of travertine. The orange and brown colours are caused by algae that thrive in the warm water. 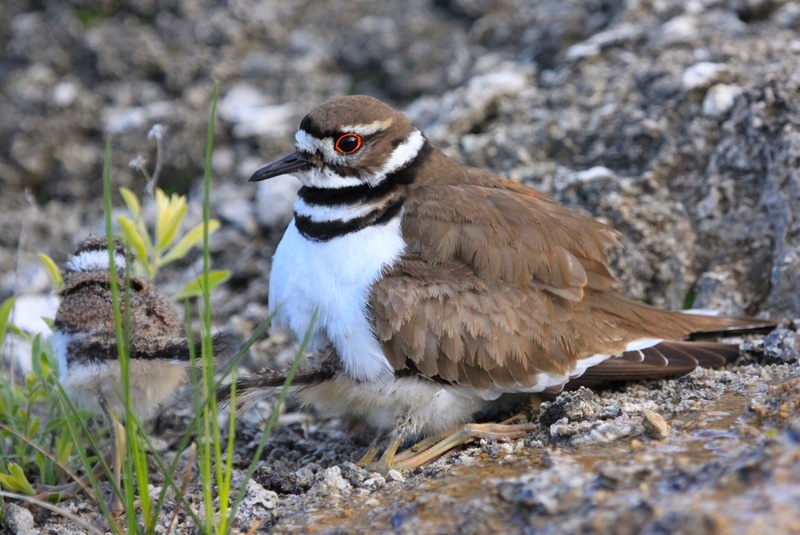 A killdeer and her chicks were wandering around just next to the boardwalk. 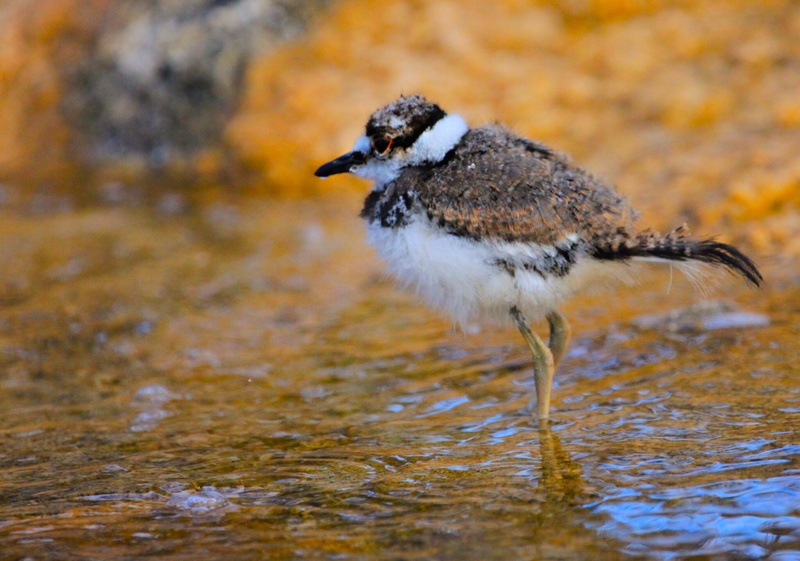 This small bird does not kill deer, although it would be impressive if such a little bird could. The name comes from its call. 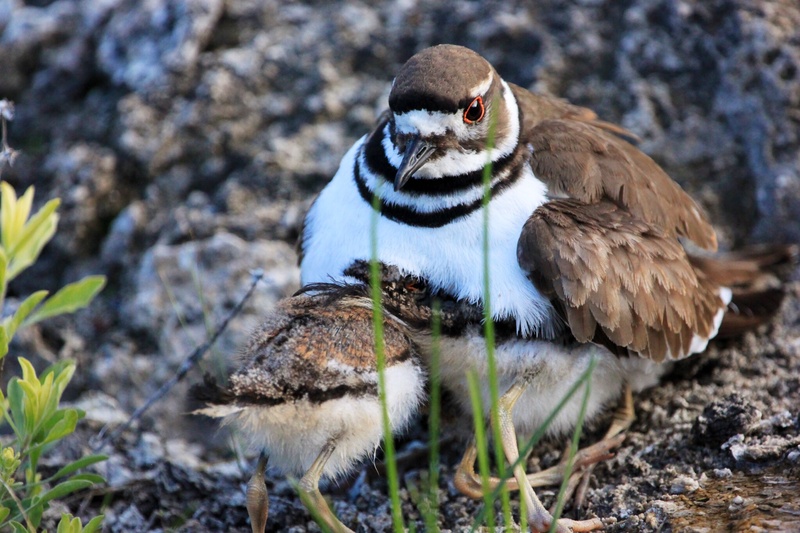 As we lay on the boardwalk to photograph them, the mother lay down and the chicks rushed under her wings. Whether she was protecting them from all the people who came to see why we were lying down taking pictures or they just fancied a cuddle, I do not know. We did not see the trick for which they are most well known, pretending to have a broken wing to draw predators away from the chicks. That was the end of five fantastic days in Yellowstone. Despite the fender bender and the bear spray incident, Aaron did a brilliant job at showing us the wildlife and giving me plenty of tips to improve my novice photography. Thanks Aaron! You can find him at http://www.aaronstours.com if you fancy a similar trip. What did I learn on this trip? That if you put one English woman in a car with three Americans, they will be using English vocabulary by the end of the trip! That a Boston accent is charming. That you should not spray your car with bear spray. That I will have to be back one day. My next stop is San Francisco. 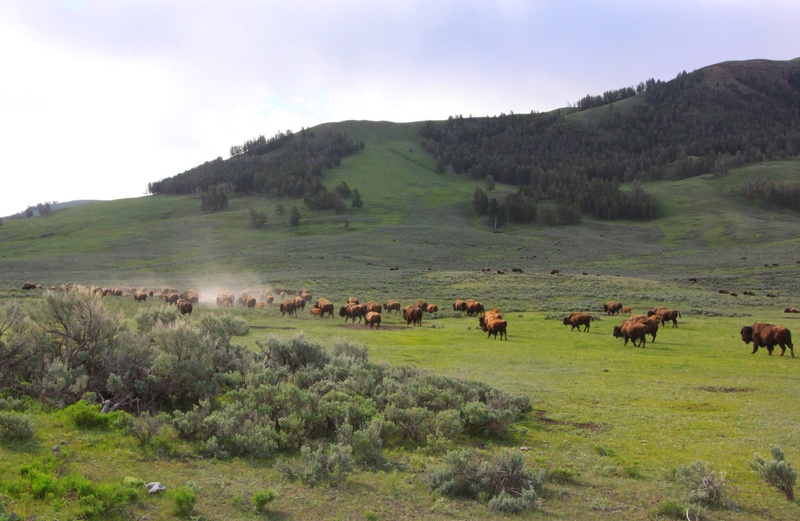 This entry was posted in Yellowstone on 07/06/2014 by paulaclarke.